Up and coming garage rock duo White Mystery stops by for a conversation and live performance. 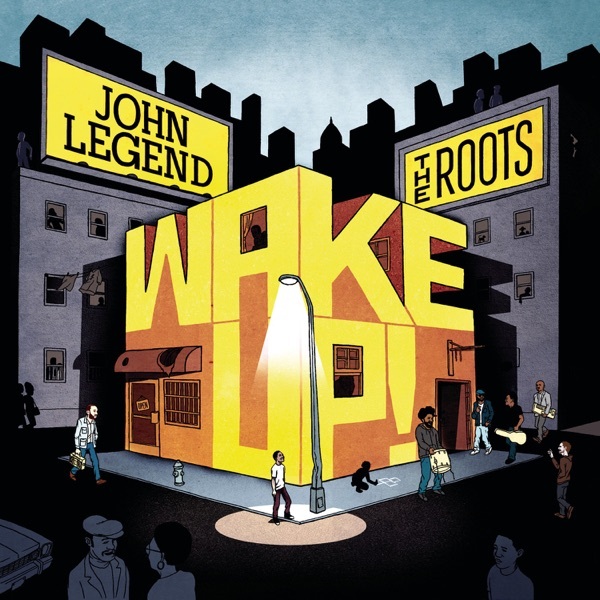 Then we review the new collaboration between John Legend and The Roots. Some of the biggest songs today haven‘t and never will hit radio airwaves. At last week’s MTV VMA's, Kanye West debuted a song from his forthcoming album called "Runaway." It's packed full of radio-unfriendly words, but it's a surprising mea culpa from the notoriously arrogant rapper. Also surprising is Cee-Lo Green's kiss-off track "F**k You." Cee-Lo is known for his dark sense of humor, but not necessarily his anger. And these major stars are forced to release their music through unconventional means. It makes Jim and Greg wonder if terrestrial radio is a little out of touch. During the Obama campaign R&B singer John Legend and hip hop group The Roots were inspired by the African-American community's rich tradition of socially conscious protest music. So they decided to put together an album of covers of these funk, soul and reggae gems called Wake Up! Legend and The Roots really show their encyclopedic knowledge of music with their choices, which, Greg notes, are not the big hits by artists like Donny Hathaway and Harold Melvin and the Blue Notes. He appreciates that scholarship and hopes this will turn a new generation on to these artists. But, his main issue is that they don't transcend the original. So he gives Wake Up! a Burn It rating. Jim has major problems with Legend's vocal performance, which doesn't match the emotional content of the songs. He wonders if he has a“tin ear”and gives the record a Trash It. The last album inspired Greg to go back to the original version of "Compared to What." Vocalist and jazz pianist Les McCann paired up with saxophonist Eddie Harris at 1969's Montreux Jazz Festival to record their version of the Eugene McDaniel song. It was first made famous by Roberta Flack, but for Greg, McCann's take on the anti-Vietnam protest song is the most moving. He adds it to the Desert Island Jukebox.